There's still room left and we are looking for Crafter's and Vendor's! 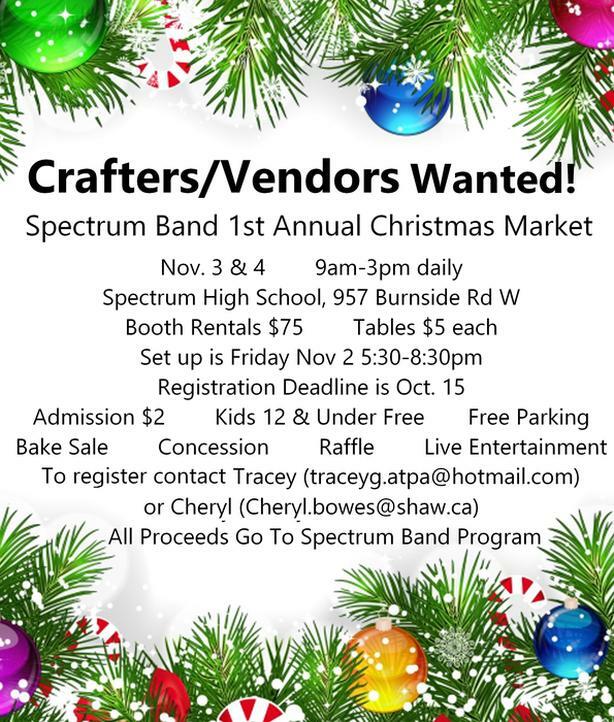 Spectrum Band is excited to host its 1st Annual Christmas Market Nov. 3 & 4. This is a great way to promote local people and to help a great group of kids. All proceeds go directly to the Spectrum Band Program!